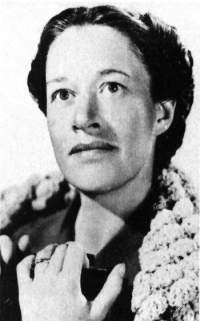 All but five of Anne Revere's thirty-six movies were made during the 1940s. She received three Best Supporting Actress Oscar nominations and played in three Best Picture nominated films over the course of her career, making her one of the decade's most lauded character actresses. Her characters usually had a quiet wisdom about them, and Revere made her mark on the films she appeared in as much by what she didn't do as by what she did. Her calm, restrained performances gave her characters a certain power which set them apart. Many of Revere's best known roles were as mother to some of Hollywood's greatest stars. In this still she plays mother to Elizabeth Taylor's Velvet Brown in NATIONAL VELVET (1944). Also starring Mickey Rooney, Angela Lansbury and Donald Crisp, NATIONAL VELVET (1944) earned Revere her only Academy Award as Best Supporting Actress. 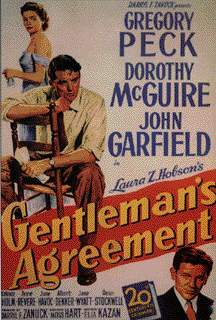 A poster from GENTLEMAN'S AGREEMENT, the Best Picture of 1947, with Gregory Peck and Dorothy McGuire. Revere played Mrs. Green, Peck's mother in the film, and was again nominated as Best Supporting Actress for her performance. This time however, she lost to one of her GENTLEMAN'S AGREEMENT co-stars, Celeste Holm, who played Anne Dettrey, one of Peck's co-workers. This film was instrumental in bringing the issue of socially accepted anti-Semitism to the forefront shortly after World War II. 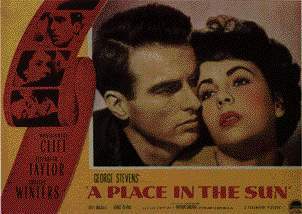 A lobby card from George Stevens' A PLACE IN THE SUN (1951) again with Elizabeth Taylor. 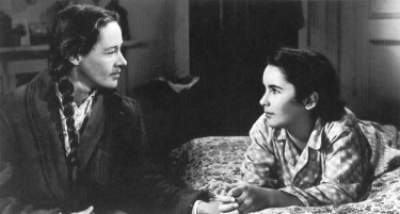 Revere plays mother to Taylor's co-star, Montgomery Clift, in this film adaptation of Theodore Dreiser's novel An American Tragedy. The film was nominated for nine Academy Awards including Best Picture and took home six statuettes. "The Song of Bernadette" (clip) from THE SONG OF BERNADETTE (1943) by Alfred Newman (a .MP3 file). "Main Title: Amber" (clip) from FOREVER AMBER (1947) by David Raksin (a .MP3 file). "Suite" (clip) from A PLACE IN THE SUN (1951) by Franz Waxman (a .MP3 file).